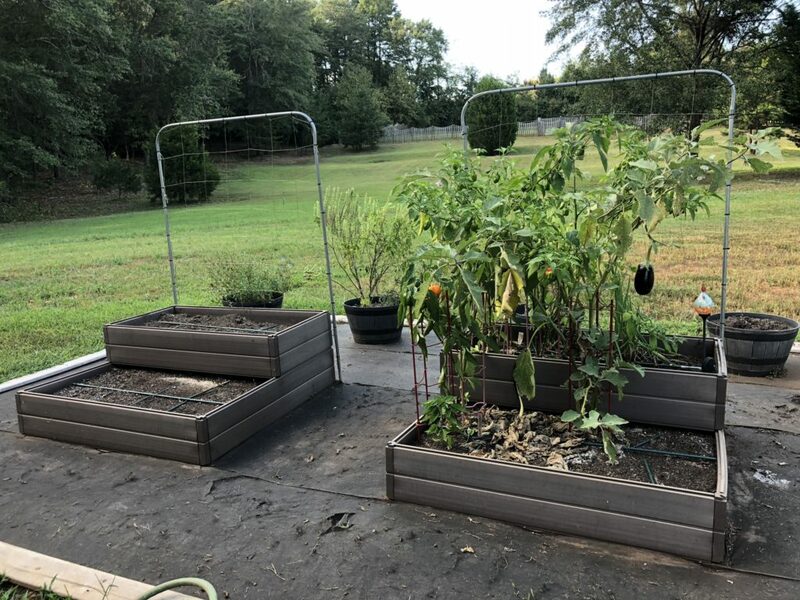 Did you know that fire ants love raised garden beds? Nasty, bitey little creatures! If only I could figure out a way to kill them all…. I guess this is what I get for pulling out their delicious Blue Cream Cherry tomatoes. Sigh. One tiny ant bit me twice in less than a half inch of thumb. Boo. Look at all that lovely space for fall/winter crops! Woohoo! Note that the eggplant and peppers are still going strong, so those didn’t get yanked out of the ground. 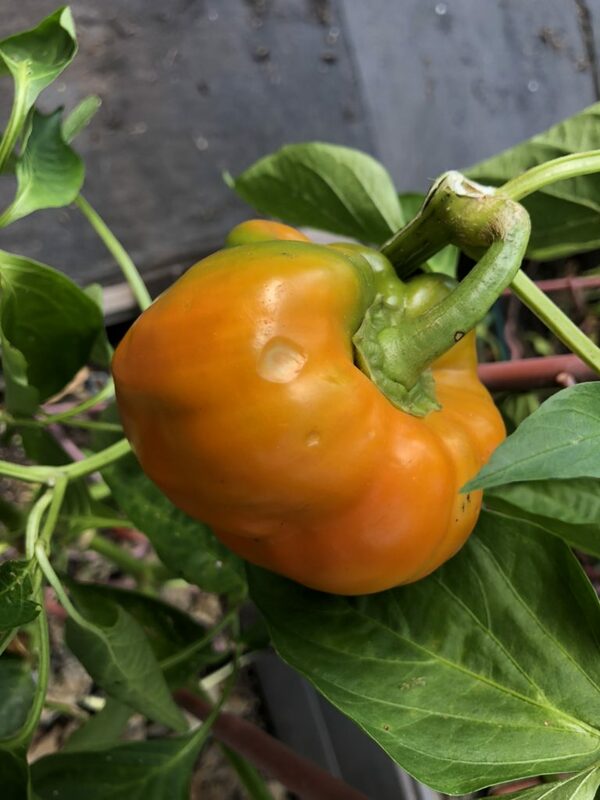 Look at the pretty orange pepper! 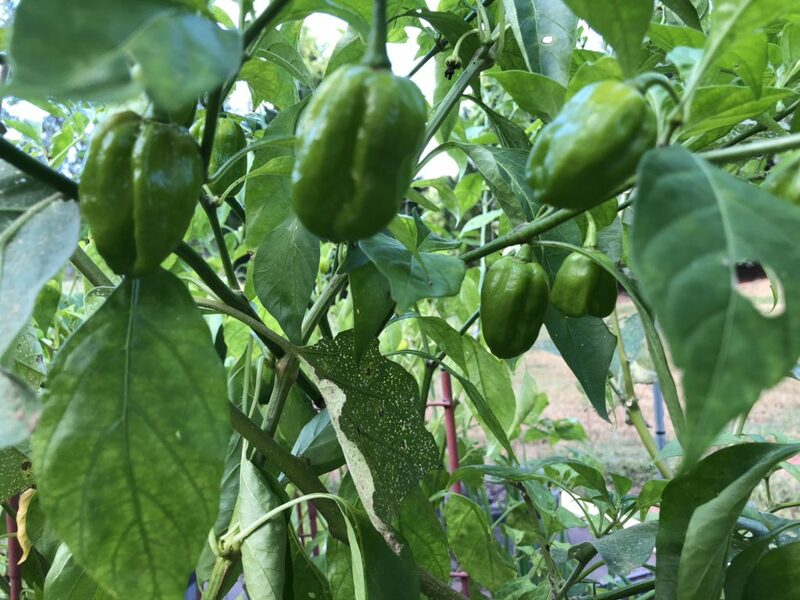 Don’t forget the bazillion Aji Dolce peppers getting ready to be ripe. I LOVE these peppers! All the flavor of a Habanero and none of the heat! Thanks Bio-Way Farm for this one! I’ve pulled out a bunch of fall seeds to consider. Now we just have to decide what to grow! 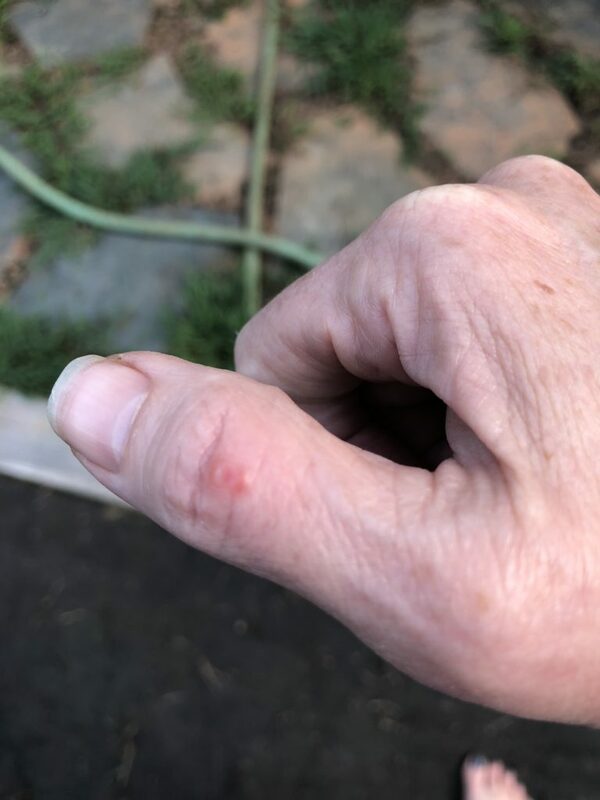 Filed Under: Week by Week Tagged With: Aji Dolce Pepper, Bio-Way Farm, fire ants, ouch!